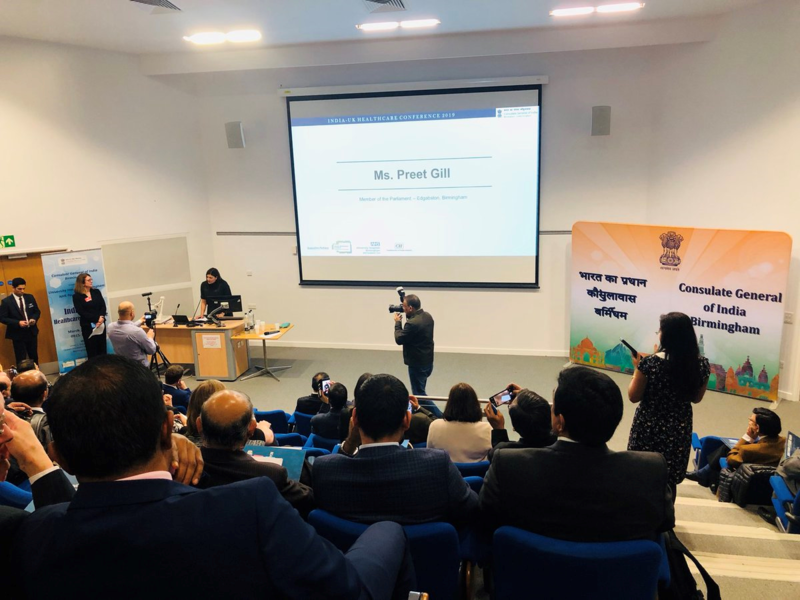 Preet Kaur Gill MP attended the India-UK Healthcare conference today hosted by the Consulate General of India and the University Hospitals Birmingham NHS Foundation Trust at the Queen Elizabeth Hospital in her constituency. At the event, Preet spoke to delegates about the good work done by the NHS over the last 71 years and how collaborative working and sharing of best practice can lead to eliminating the huge inequalities that exist and improving access to quality healthcare for all. "We all know that the UK is facing staff shortages in the NHS. While this is partially attributable to the current malaise of the government, there is also a global shortfall of qualified health care workers. We could descend into competition with one another, fighting for limited staffing resources or we could develop mutually beneficial policies and relationships with countries like India to support domestic training and up-skilling of health workers as well as to continue to welcome non-British nationals who continue to come to support the everyday working of the NHS."